John Keats Writes "To Autumn"
On September 19, 1819, English poet John Keats, inspired by the beauty of the changing season, wrote "To Autumn," a three-stanza ode to the splendor, bounty, and melancholy of fall. 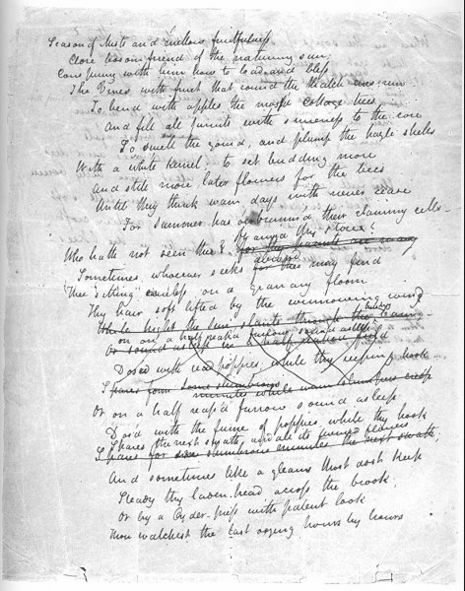 Meditations on the tension between the transcendent nature of ideals and the constancy of change in the physical world, Keats's odes are considered his greatest poetic accomplishment. With the exception of "To Autumn," written in September, the odes were composed between March and June of 1819. Struggling with his own fatal illness, while mourning his brother's recent death, during this period Keats carried on an intense love affair with Fanny Brawne to whom he later became engaged. Born in London, England, in 1795, he trained to become a surgeon before devoting himself to poetry in 1817. John Keats died of tuberculosis on February 23, 1821. Just twenty-five years old, his death cut short the life of a great poet. John Keats (pronounced /ˈkiːts/; 31 October 1795 – 23 February 1821) was an English poet who became one of the key poets of the English Romantic movement during the early nineteenth century. During his very short life, his work received constant critical attacks from periodicals of the day, but his posthumous influence on poets such as Alfred Tennyson and Wilfred Owen has been immense. 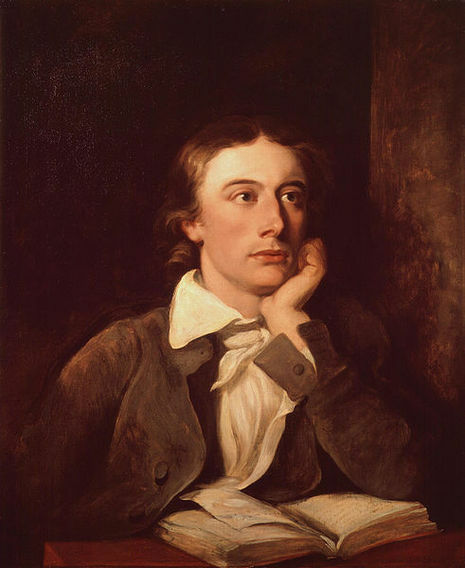 Elaborate word choice and sensual imagery characterize Keats' poetry, including a series of odes that were his masterpieces and which remain among the most popular poems in English literature. 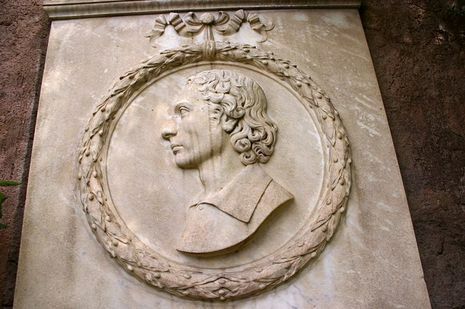 Keats' letters, which expound on his aesthetic theory of "negative capability", are among the most celebrated by any writer. — John Keats, "To Autumn"